Happy Friday Everyone! I am super jealous of all of you who have a long weekend!! No days off here until spring break (first week of April)! and don't forget to head over to TBA for all the awesome Freebies this Friday!! love her stuff!! I was feeling bad for a while that I asked her to do seuss stuff, since she was having questions with legalities...but I'm so glad she got it all fixed!! She is super talented! Love the game. Thanks for sharing. Such a great share! 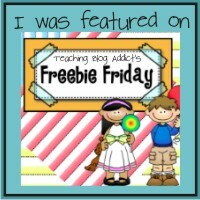 I am on classroom Freebies Too as well! I am downloading now. Thanks! Thank you for the mention...I love what you did with the graphics...cute! What a gorgeous blog you have! Thank you for vising Kindergarten for Teachers and Parents. Love the hearts. I'm following you now too. 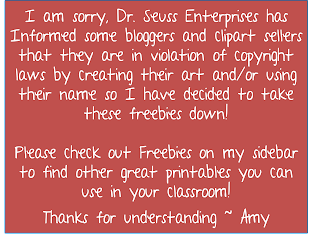 Theses are so cute Amy.Thank you for sharing.Im goin be printing these out. thanks for all your kind comments they really made my night! 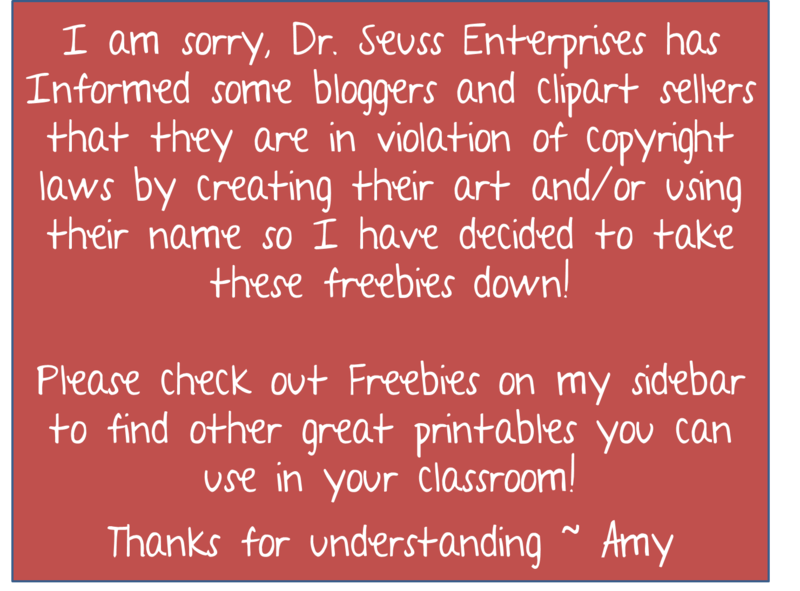 Thanks for linking up to share these Dr. Seuss finds! This is cute thank you! Love the Seuss card games- thanks for creating and sharing!